Requirement: Change Content Type of All Items in a SharePoint Online List. 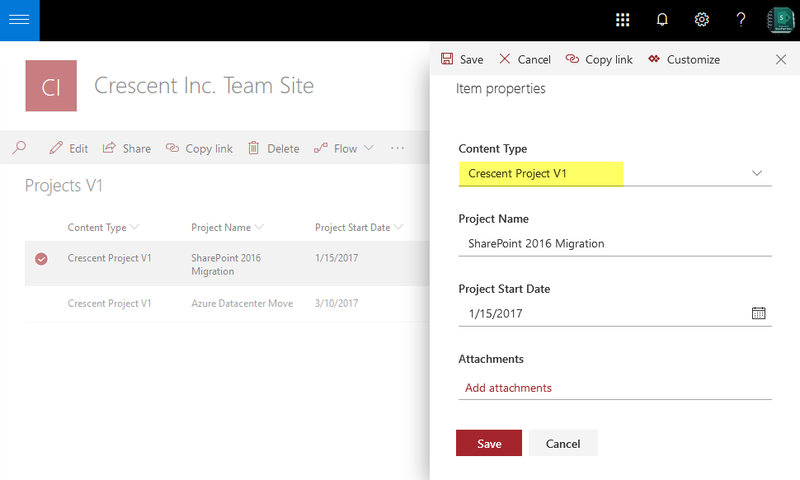 How to Change Content Type in SharePoint Online? You can change content type of existing list items by editing the particular item and switching "Content Type" field. Well, Lets bulk change content type in SharePoint Online with PowerShell. Before changing the content type of list items, You must add the content type to the list first: How to Add a Content Type to List in SharePoint Online using PowerShell? Lets change the content type "Crescent Project V1" with "Crescent Project V2" for all list items (whichever item using the content type "Crescent Project V1"). This PowerShell changes the content type programmatically for all items in SharePoint Online list.